Let the light in with our detailed window cleaning! Windows are often exposed to the elements which means they easily get dirty. You don’t want to leave a bad impression with visitors and staff by having dirty windows. Why not let us look after all of your window cleaning needs? Our experienced window cleaning team will clean your windows to perfection both inside and outside, including frames. No space is too large or too small for our window cleaning team, we clean windows in both private and commercial spaces. Call us for the most affordable and most professional cleaning service in Adelaide. Leave a great first impression with spotless, streak free windows. 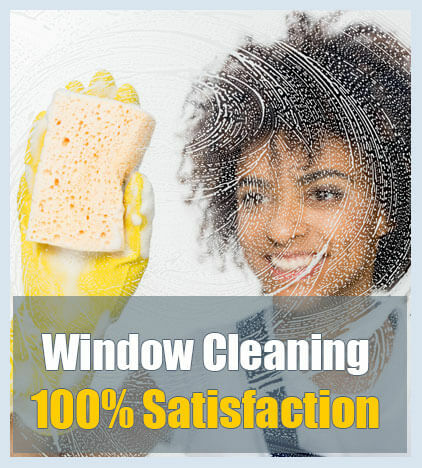 Our skilled window cleaning team, combined with our eco-friendly products and high-tech cleaning equipment guarantee that you’ll be 100% satisfied every time. Eco-friendly cleaning is what we do. Our chemical free cleaning products, combined with high-tech cleaning equipment, ensure that your windows are cleaned to perfection using only eco-friendly products. Giving a good first impression to visitors and staff doesn’t have to be bad for the environment or unsafe. Our window cleaning team will come to your home or office to give you windows a thorough clean. The light will shine through once they’ve finished cleaning your windows. 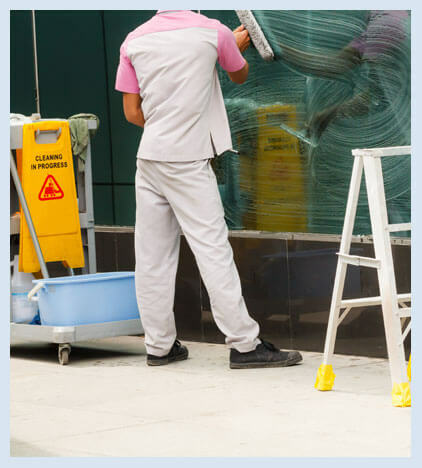 Our efficient processes and skilled window cleaning team will ensure that you get the most affordable window cleaning services in Adelaide. Our environmentally friendly products are great for the environment and great for your space. We only use chemical-free products that have the strength to tackle the toughest dirt, whilst being safe. CALL US TO BOOK OUR PROFESSIONAL WINDOW CLEANING SERVICES TODAY! Spotless windows leave a great impression on visitors and staff; having dirty windows sends the wrong message. We understand how hard it can be to maintain sparkling windows, that’s why we provide the most detailed window cleaning service in Adelaide. Our committed window cleaning team will thoroughly clean the inside and outside of your windows and frames, letting the light in and leaving them streak free. Windows are often exposed to harsh environments; our skilled window cleaning team can tackle any stain or type of dirt with ease. 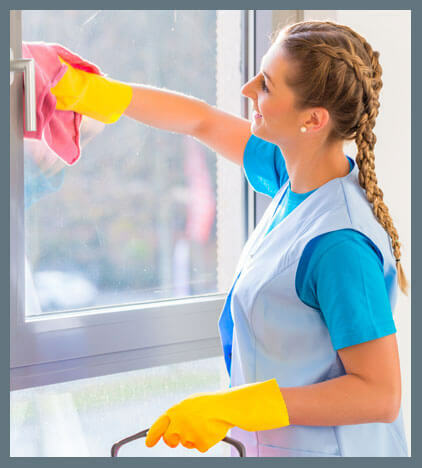 If you’re looking for perfectly clean windows then book the most affordable window cleaning service in Adelaide. Whatever you window cleaning needs, we have the solution for you. Bring the sunshine in with our streak free window cleaning service. Clean windows are key when it comes to running a business or having a beautiful home. Our window cleaning team has proven time and time again that they’re committed to providing the highest quality service possible. They’ll clean your windows to perfection using our high-tech cleaning equipment and eco-friendly cleaning products. Whatever the problem, they’ll use their experience to leave your windows sparkling clean. From frames to cleaning inside and outside, every part of your windows will be streak free and spotless once our team has tacked the stubborn dirt. Our experienced cleaning team understand how important it is to have clean, streak free windows. Dirty windows give a bad impression to visitors and staff. Hire our team of committed window cleaners to have beautifully clean windows at all times. Whatever your window cleaning needs, we have the cleaning solution for you. CHOOSE US FOR ALL OF YOUR WINDOW CLEANING NEEDS IN ADELAIDE! Our experienced team of skilled cleaners will ensure that your property is cleaned to the highest possible standards. We remove the toughest dirt using environmentally friendly cleaning products that are chemical-free. We value you, our customer. We pride ourselves in providing the highest quality customer service every time; our service is detailed, efficient and reliable. Our window cleaning team are perfectionists, they’ll leave your windows streak free. Our eco-friendly products and high-tech window cleaning equipment guarantees you’ll be 100% satisfied every time. Let the sunshine through with our professional window cleaning service. We provide end of lease cleaning services with 100% bond back guarantee (T & C’s apply), as well as other professional cleaning services, so get in touch with our team today!